Help ease the brushing process and make getting ready a breeze with our Hair Detangler. 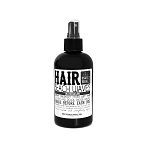 If you have curly, wavy, snarly, or unruly hair – this is a must-have product. Your scalp will thank you! Our Hair Detangler was formulated with adults and kids in mind. 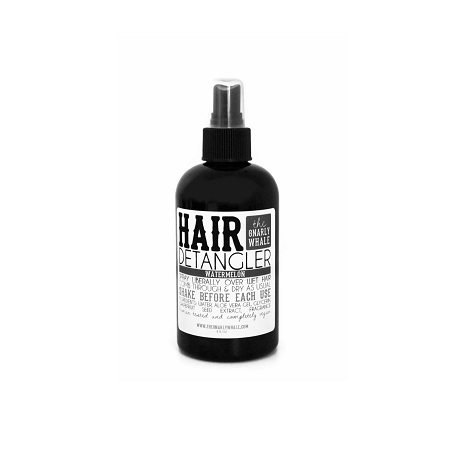 Young or old, our Hair Detangler is a simple eco-friendly, minimal ingredient way to get through those tangles. Best used on wet hair, but can be used on dry hair as well. Spray enough to cover your hair entirely, comb through, and style as usual. If tangles persist, spray more in the tangled area. Water, aloe vera gel, glycerin, grapefruit seed extract, and fragrance oil. Description: A fresh and fruity summer classic that cannot be missed!